What is cookie file ? 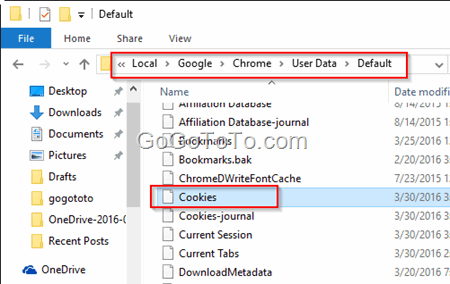 A cookie file is a file which is generated by web browser and store some data which is from web browser to indicate the user’s previous web activities, such as login information, visited web url and data, and shopping cart information if you added items but not paid yet previously. Does cookie file save my credit card information ? Different web browsers might generate cookie files on different locations. 1: Where is the Chrome Cookie file? 2: Where is the IE’s Cookie file ? IE’s settings –> Internet Options –> General tab –> Browsing history section: Settings button. You can see the “Current Location” is the cookie files’ location. 3: Where is the Edge’s Cookie file ? Unfortunately, we checked the following folder but we did not find related cookie files even somebody else mentioned they can find. so if you can find the cookie files maybe this folder works for you. But, you can got Ede’s settings to delete cookie. PDF File Can Not View In IE Browser ? 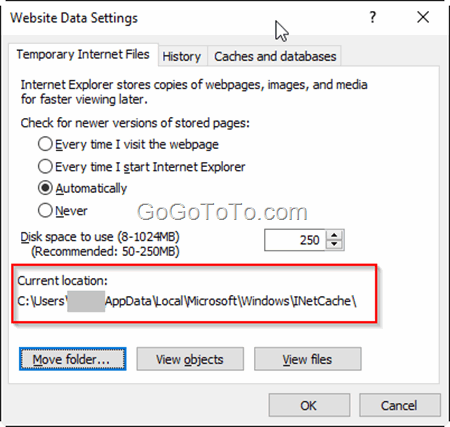 How to show file name extensions in Windows 7 ? I am in fact pleased to read this web site posts which includes plenty of helpful data, thanks for providing these data. Previous Previous post: Twitter is over capacity ?